Your private sightseeing tour of St. Petersburg starts at the time of your choosing with prior request. Please list any special interests you have (art, architecture, history, culture) at the time of booking to alert your guide, so that he or she can better prepare for your private experience. Your guide picks you up at your hotel, and then together you hit the streets to experience the city on foot. Some places you can see include Kazan Cathedral, St. Isaac’s Cathedral, and the Winter Palace. 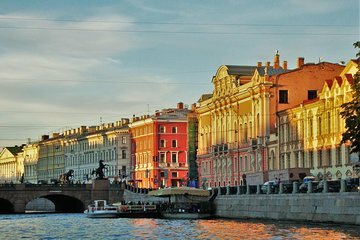 You can walk down Nevsky Prospect, the main street in St. Petersburg, and stroll through one of the city’s largest and oldest shopping centers. Because this is a private tour, your guide alters his commentary based on your interest, so not only will you get to see what interests you most, but you’ll also get to hear about it, too. When your tour ends, your guide takes you back to your hotel.